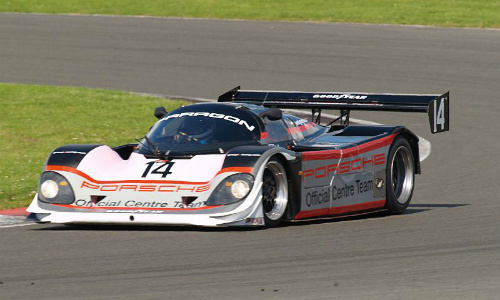 In 1982, Porsche introduced the 221 mph, twin turbo, 956 sports car racer which went on to win the Le Mans 24 Hour Race each year between 1982 and 1985. However, by this time, new and stricter safety regulations were introduced by the racing authorities, with particular emphasis on the position of the cars' pedal box. In 1984, in order for the 956 to comply with the new rules, the wheelbase was increased to ensure that the pedal box was positioned behind the line of the front axle. At the same time, a steel roll cage was incorporated within the new aluminium chassis. 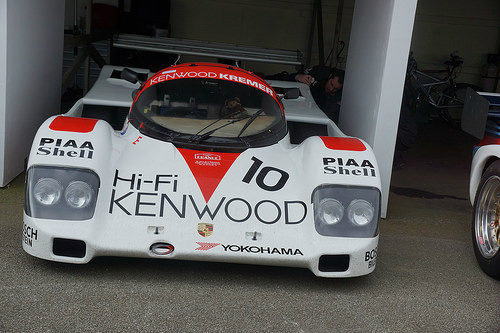 The 956 was powered by the air-cooled 2.8 litre, flat-6 engine, linked to a single K36 turbocharger. 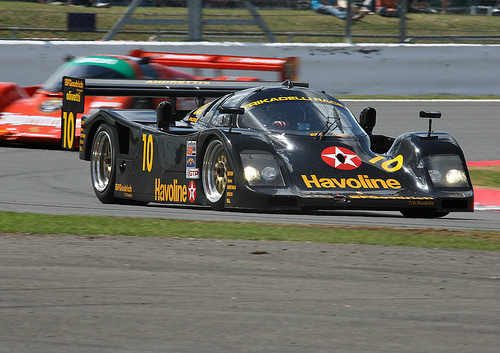 Now designated the Porsche 962 sports car, it was, outwardly, very similar to the original 956. 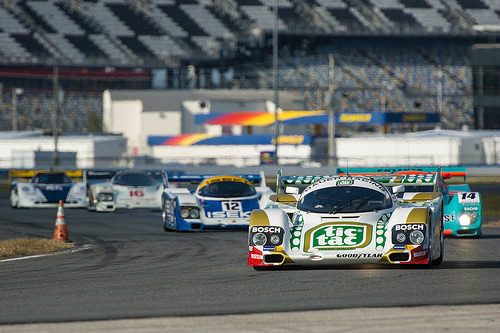 A total of five 962's were built in 1984 and clocked up five victories in its first season. In 1985, the car was fitted with a 3.2 litre, flat-6, single turbo unit, which made it much more competitive. 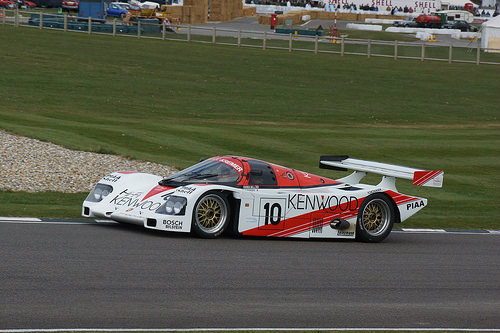 However in 1986, the 962C competition variant was introduced, powered by 2.8, 3.0 and 3.2 litre engines that were now fitted with two KKK turbos, as featured in the original 956. The mid-engined, 24 valve, 3 litre unit developed 780 bhp and 525 ft/lbs of torque, was linked to a five-speed manual gearbox, and had a curb weight of 900 kg. 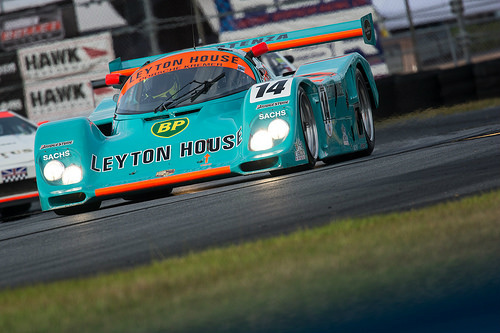 Later that year, a works 962C scored its first win in the Le Mans 24 Hour, which was repeated in 1994. 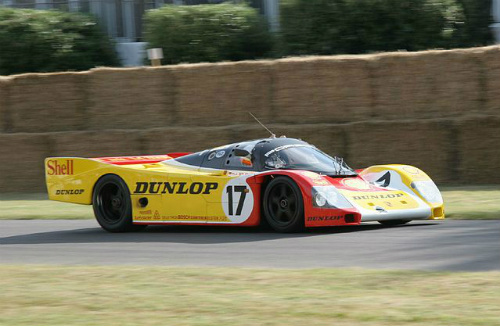 During the period 1984 and 1991, of the 91 962's built, 16 became works cars and 75 were sold to privateers. 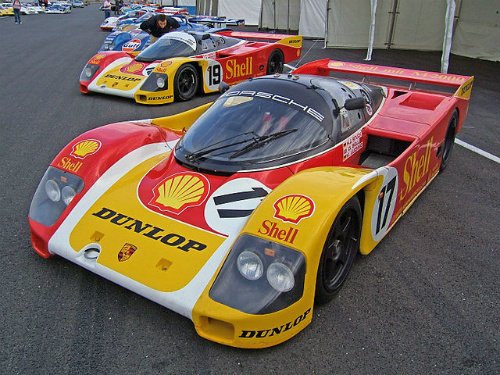 In the end, the 962 sports car scored more victories than its illustrious predecessor, the Porsche 956.